E tū says proposed changes to the Employment Relations Act are long over-due and essential to addressing widespread labour abuses in New Zealand. However, it opposes the amendment which would retain 90-day trial periods in workplaces with fewer than 20 workers. In its submission on the Bill, the union says the changes recognise the role of unions in improving workers’ lives and the need to level the playing field. 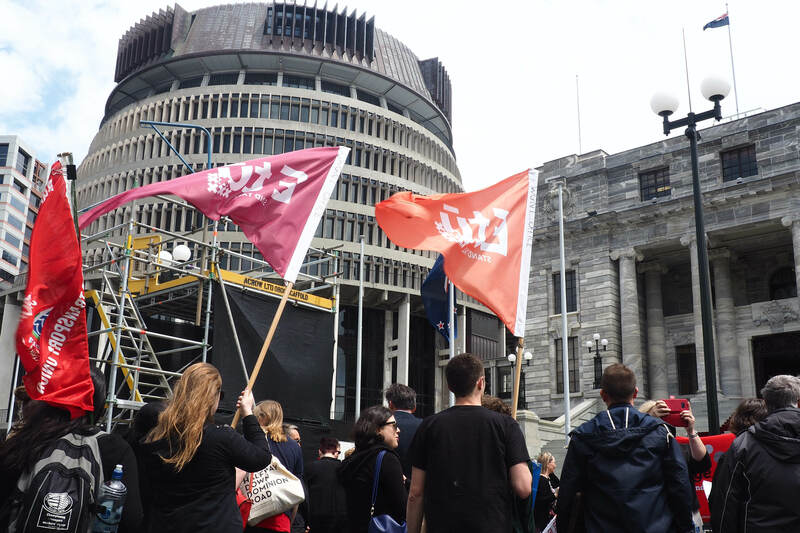 “The previous National Government changed the law to weaken protections for our members, particularly the most vulnerable, such as cleaners and security guards,” says John Ryall, E tū Assistant National Secretary. “The pendulum has swung too far in the direction of employers, and the changes would go a long way towards legitimising the vital role of unions in improving pay and conditions, and rebuilding respect between workers and their employers,” he says. In particular, John says the union supports an amendment to Part 6A of the Act, to restore protections for vulnerable workers in firms of less than 20 people. “The exemption to this protection has resulted in the decimation of cleaning jobs and abuses of cleaners on a huge scale. Bullying, cuts to hours and jobs and short-pays are endemic in this industry,” says John. E tū also strongly opposes the Bill’s preservation of 90-day trial periods for employers with fewer than 20 workers. John says 90-day trials should be scrapped altogether. “This unfair law has been used on tens of thousands of people, and is devastating for many,” he says. He cites the case of a member who recently won a settlement after being sacked on the last day of her 90-day trial at a top plastics firm, after she notified the company she couldn’t work because she had a sick child. “This was a disgraceful example of how unfairly this law has been used,” John says. John will be presenting E tū’s submission to the Education and Workforce Select Committee on Wednesday, 23 May at 10.45am, together with E tū members.